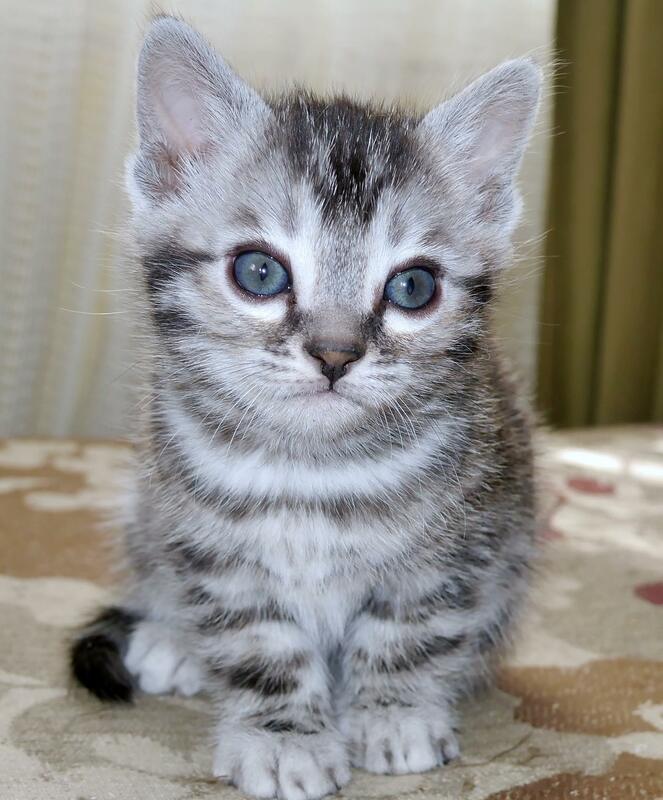 Sully is a gorgeous silver spotted F3 boy kitten with big spots and lots of acreage in between. Very little in the way of tarnish (warm tones) to his coat and is black and silver in appearance.Sully has a wonderful snuggly personality and is very inquisitive! Can’t wait to watch him grow and develop! This entry was posted in Bengal Kitten Gallery and tagged Bengal kitten, F3, silver spotted, Sully. Bookmark the permalink.